Pipe Bands. Dancers. Singers & more. Our list of entertainment for our Festival earlier this year. We are delighted to welcome back the Uxbridge Legion Pipes and Drums band. Currently in their 51st year, the band is going strong, playing at a variety of venues and parades throughout the year. For more information, please visit their website. 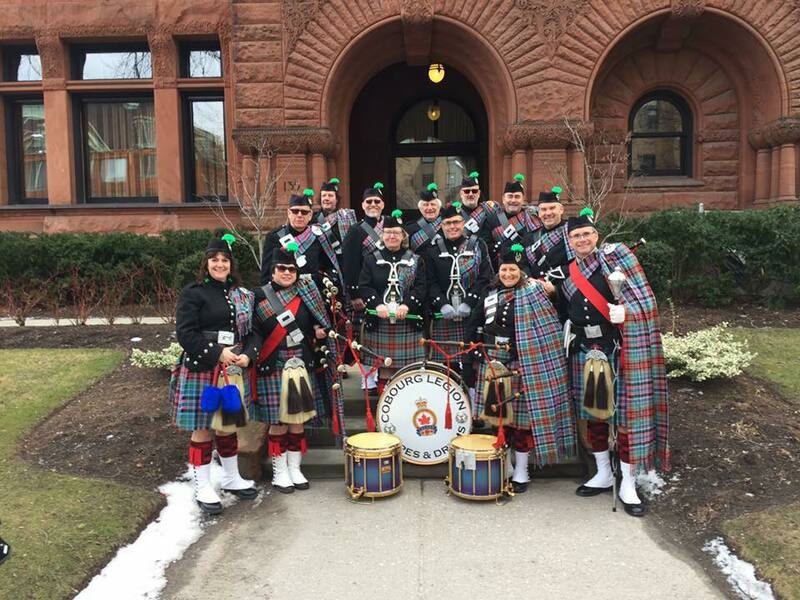 We extend a warm welcome back to the Cobourg Legion Pipe Band. You may have seen them this year at the St. Patrick’s Day parade in Toronto. Last year they put on a fantastic show and we look forward to this year’s Festival. You can find more information about this band on Facebook. 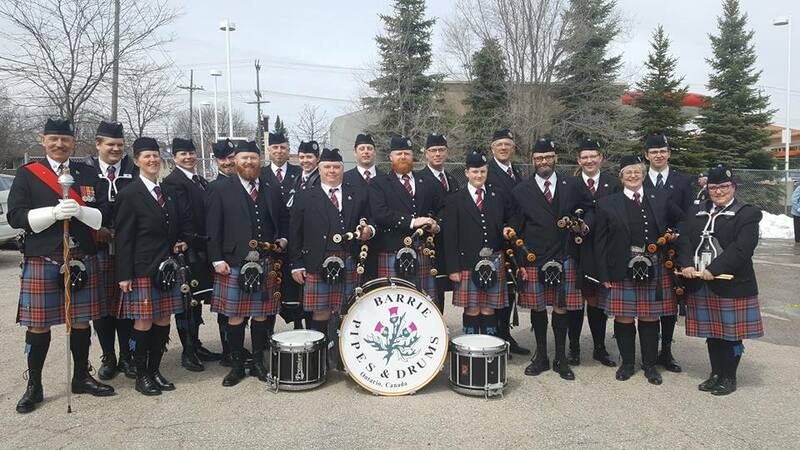 This year we are delighted to have the Barrie Pipes & Drums join us at the Festival. 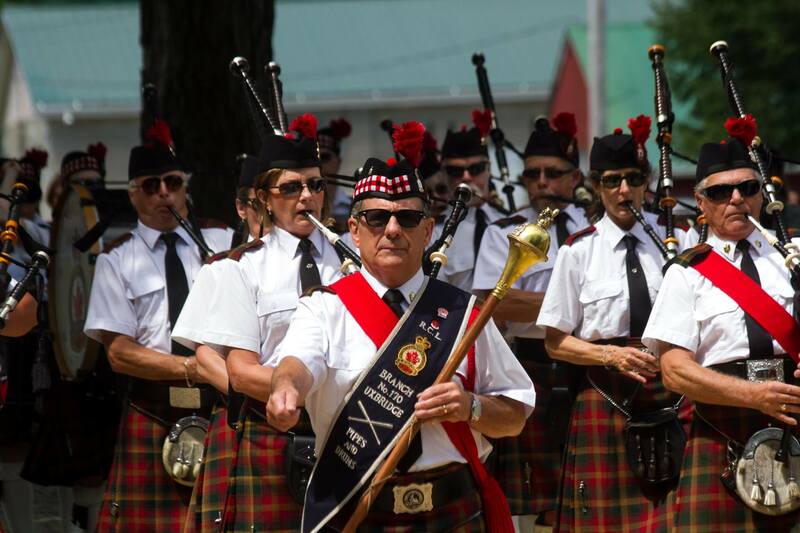 Wearing the City of Barrie tartan, this band has received many accolades over the years. In 2016, they were promoted a to Grade 4 level for the season. You can visit their website to learn more. Local favourite, Claidhmor will be performing on the main stage. 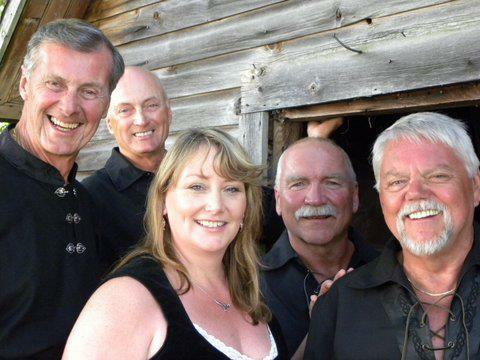 You are sure to have your feet tapping and your hands clapping as they sing Celtic songs. Visit their Facebook page for more information.